Tarragon or Artemisia dracunculus is a herb in the family Asteraceae. One sub-species, Artemisia dracunculus var. sativa is cultivated for the use of the leaves as an aromatic, culinary herb. Tarragon or Artemisia dracunculus is an herb in the family Asteraceae. One sub-species, Artemisia dracunculus var. sativa is cultivated for the use of the leaves as an aromatic, culinary herb. Russian tarragon (A. dracunculoides L.) can be grown from seed but is much weaker in flavor when compared to the French type. The plant is found natively in numerous areas of the Northern Hemisphere. The plant is not only excellent for culinary purposes but medicinal purposes. Here are 7 health benefits of tarragon. 1. Tarragon may help individuals with type 2 diabetes. 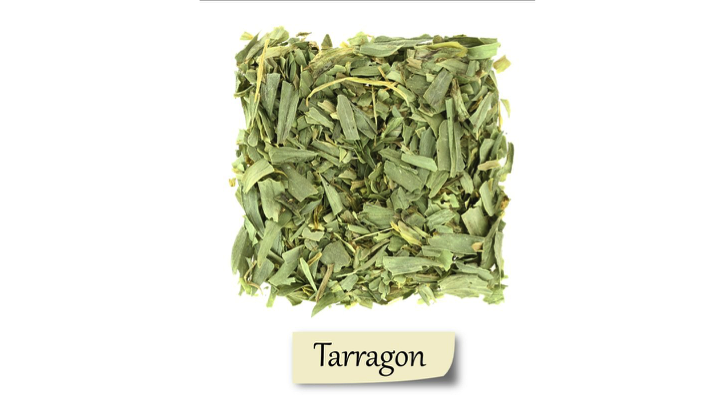 Studies have indicated that tarragon has antihyperglycemic activity (or anti-high blood sugar activity). Also, tarragon has the potential to increase insulin sensitivity and enhance insulin receptor signaling. 2. Tarragon may help protect against cholera. Research from Ciudad Universitaria showed that tarragon, sweet basil, and sage exhibit active antibacterial activity against V. cholera. 3. Tarragon could help protect the brain from dementia. Research from the Pennington Biomedical Research Center has indicated that tarragon could prevent alleviated nerve conduction slowing and sensory neuropathy in mice fed a high-fat diet that causes obesity, hyperglycemia, and nerve conduction problems. 4. Tarragon may help digestion. Tarragon may speed up digestion by stimulating the secretion of digestive juices in the stomach. This helps the body break down food into components that can be absorbed by the intestines. 5. Tarragon may fight worms that attack the intestines. Young children are always vulnerable to intestinal roundworms and tapeworms. Tarragon is useful at destroying these parasites. 6. Tarragon may help regulate the menstrual cycle. Tarragon may have the ability to regulate the menstrual cycle and alleviate premenstrual symptoms (PMS), serving as a powerful emmenagogue (or herb that stimulate blood flow in the pelvic area and uterus). 7. Tarragon may fight against cancers. A 2005 study found that tarragon oil fights against free radical damage to your cells if the body is not able to expose them efficiently as waste. Watcho, P., Stavniichuk, R., Ribnicky, D. M., Raskin, I., & Obrosova, I. G. (2010). High-fat diet-induced neuropathy of prediabetes and obesity: effect of PMI-5011, an ethanolic extract of Artemisia dracunculus L. Mediators of inflammation, 2010. Sánchez, E., García, S., & Heredia, N. (2010). Extracts of edible and medicinal plants damage membranes of Vibrio cholerae. Applied and environmental microbiology, 76(20), 6888-6894. Wang, Z. Q., Ribnicky, D., Zhang, X. H., Zuberi, A., Raskin, I., Yu, Y., & Cefalu, W. T. (2011). An extract of Artemisia dracunculus L. enhances insulin receptor signaling and modulates gene expression in skeletal muscle in KK-A y mice. The Journal of nutritional biochemistry, 22(1), 71-78. Kaefer, C. M., & Milner, J. A. (2008). The role of herbs and spices in cancer prevention. The Journal of nutritional biochemistry, 19(6), 347-361.